An innovative puzzle-based game where you control a microscopic robot (Psychobot) to fix various problems that counters the little cute driller robots (Tetrobots). Absorb blocks, pipes and throw them around while fixing everything up. Experience a new style of puzzle games with physics, mechanics and slimes! 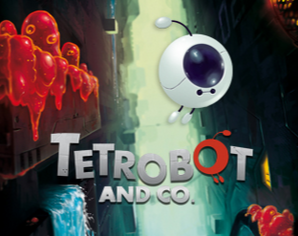 ConstructG's Review For Tetrobot And Co.
Tetrobot and Co. is a very entertaining puzzle game with lots of challenging levels and appealing art works. It has a brilliant game concept and a perfectly suitable set of soundtracks.